In place of that there is tons of Pokemon news. 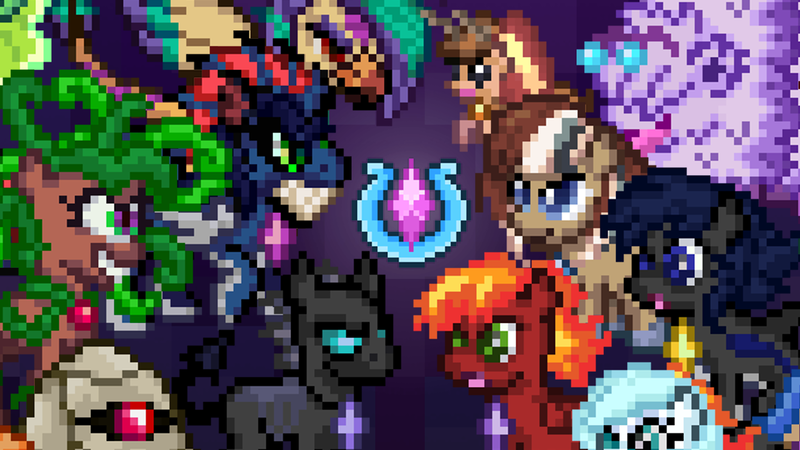 A fan game was released and a bunch of new spinoffs were announced so there's lots of interesting things to reflect on and talk about below the break. It's basically June and the BGP alpha still doesn't exist. I'm screwed aren't I? This year's new Pokemon games don't spell doom for BGP Christmas sales. 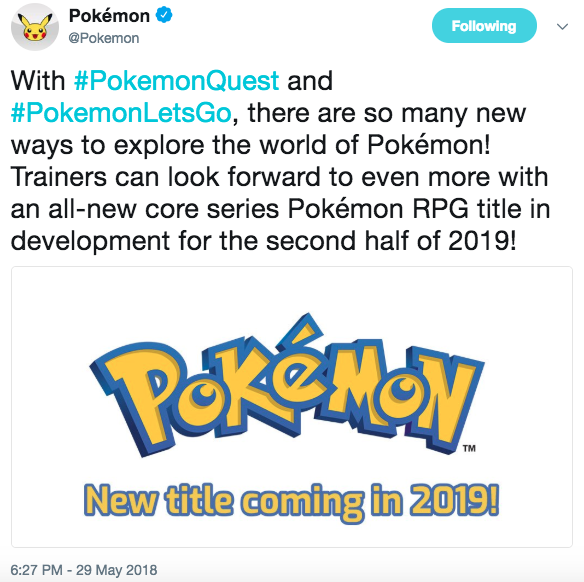 New Pokemon Games were confirmed! The April Fools rumor was true. Pretty slick day to leak something, huh? 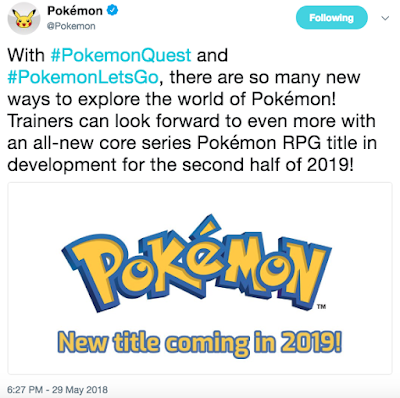 I can breathe a sigh of relief knowing the games coming out this year are remake/spinoffs and not the next generation boasting features that make my game look even more like a copycat than Sun & Moon did with the celestial legendaries, banishment of HMs, in-battle displays for buffs, and "Ultra" beasts. But in truth, the only unique aspect of my game this new Pokemon spinoff does is bringing back the follower Pokemon and having a constant mascot companion throughout the adventure. And also having that partner possibly be Eevee (who Ponatina is based on). and now they'll have another year to craft a new adventure using this as a base. Man... Wish I could work that fast. So I outta chart out my marketing campaign for early fall because October through Christmas is gonna be Poke-Fever and I'm gonna be completely overshadowed for a while. 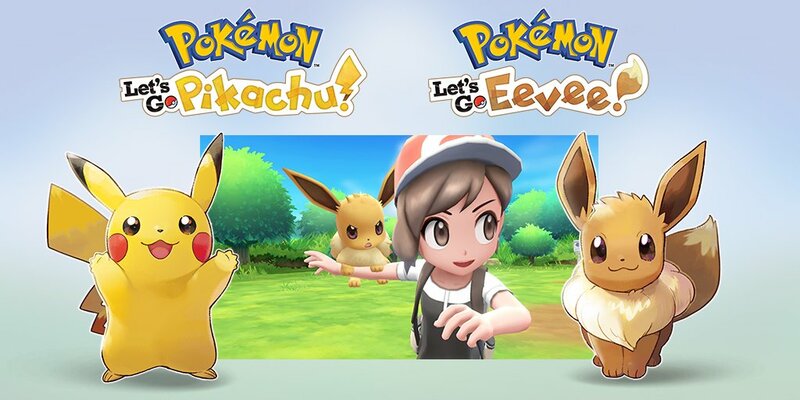 Or maybe hype for this game will result in an increase in mobile searches for games similar to Pokemon and those who can't afford a Switch will come across my game and give it a try. BGP could scratch that itch for a new adventure with new ideas in an unfamiliar place with new and lovable characters. A real Pokemon RPG on mobile. Something that still hasn't happened yet and by the looks of this announcement, won't happen anytime soon. Either way, I definitely have to beat it to the punch. 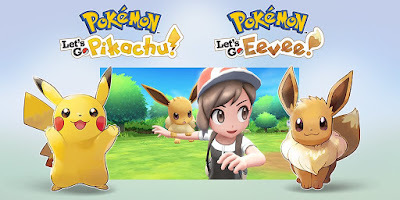 My game needs to be out before people start really salivating over this one and every PokeTuber unanimously agrees that nothing besides Let's Go, Quest, and the revival of GO are worth talking about. On a weird little tangent here, I find it super interesting how I subconsciously formed a world map super similar to the one they're using in Pokemon Quest. To the point where I'm wondering if I've been following some archetype this whole time since I envisioned it way back in high school. Starting off in the west in a light green meadow near a body of water where a boat could take you who knows where. Lead north into a forest connected to a rocky ridge featuring a river/waterfall and bright orange desert even further up north. 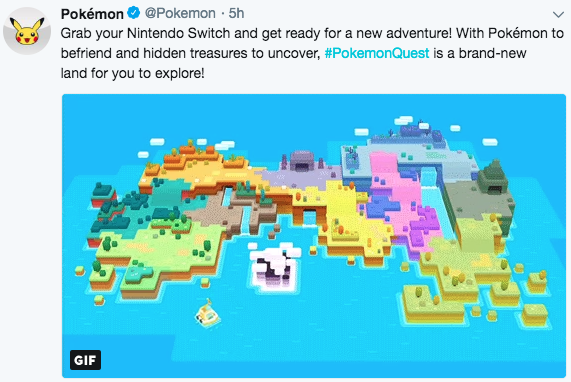 A big shrine in the upper middle of the map and a mysterious purple island housing a legendary monster in the lower center of the map that you need to cross the ocean to reach. 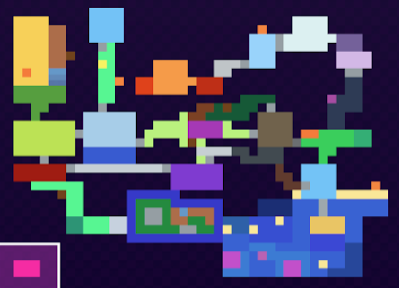 Then there's the dried out yellowish fields in the center of the map, connecting to a purple cave. A return to the meadow environment in the east but this time in an off green color with a few scattered islands below. A northern path from the 2nd meadow leads to grayish green spooky zone with a tall dark tower, leading you up a steep climb to the icy cold winter wonderland at the highest northern peak. There's gotta be something to this and it's not cuz one copied the other. A motivation Monday kinda thing on the PokeCommunity forums. 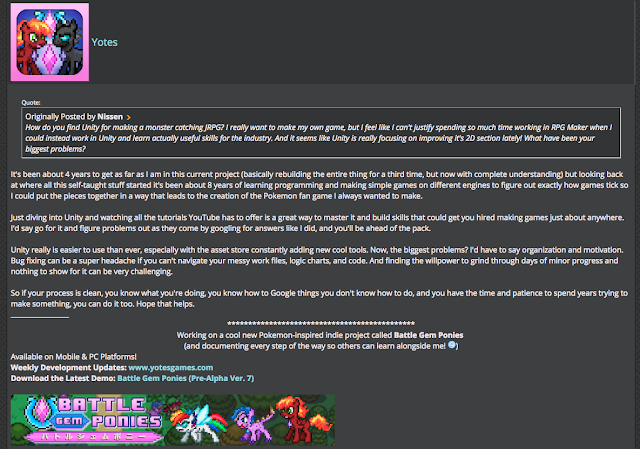 Advice for anyone crazy enough to wanna try to make video games like me. 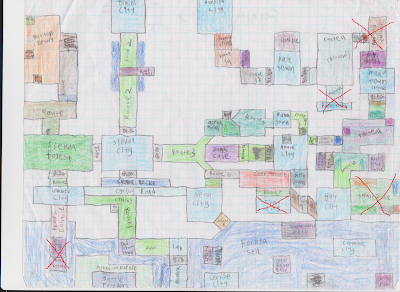 This is the world map I drew for a Pokemon fan game that I never finished back in high school. 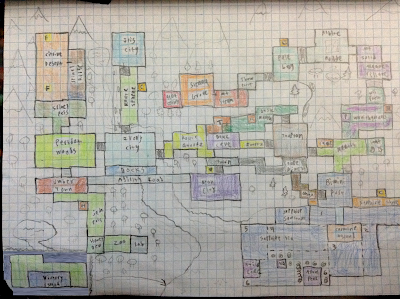 This is the hand-doodled world map of BGP. 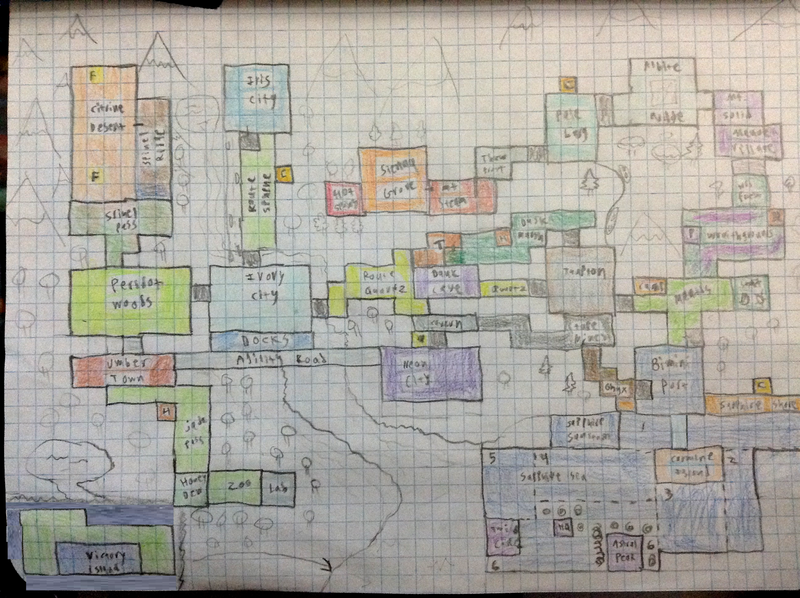 A revised version of my old ideas. Kept the feel, improved the flow.